J.P. Cassar, K. Borg, C. Bugeja (M. Debrincat), J. Grima (C. Debono), O. Curmi, L. Garcia Panesso, M.M. Uzor, J.J. Sandobal Guarin, G. Muscat (P. Parnis), S. Muscat, B. Polo Longarela. Xuereb, J. Tabone, J. Polo Longarela, A. Oularbi, K. Mercieca, C. Hili (D. Hili), D. Mercieca (Al. Xuereb), A. Camilleri, N. Damba, K. Grima, L.A. De Melo Lima. Munxar Falcons and Ghajnsielem shared the spoils in a draw of four goals so that both teams confirmed their positive start in the championship. This was a match between two sides who were undefeated after two matches in the championship and who were aiming for the victory to keep with the top positions on the table. The match turned out into an exciting encounter with scoring opportunities at the two ends of the field and where the final score remained uncertain until the end so that victory could have gone either way. Although at the end of the match the two sides left the field with some disappointment, as Munxar failed to defend their lead during the final stages of the match while Ghajnsielem expected to obtain a win to take the runners-up position on the table at the expense of the same Munxar, the final score is a just result that rewards the efforts of the two teams throughout the ninety minutes. Munxar came out more aggressive than their opponents and kept pressure on Ghajnsielem’s rear guard. However, the Blacks managed to resist to Munxar’s play and created the first serious scoring opportunity of the encounter on 14 minutes through a header by Luis Andre De Melo Lima. Munxar replied one minute later through an overhead kick by Borja Polo Longarela that missed the target. On 17 minutes Munxar could have opened the score when Matthias Michael Uzor released Leiner Garcia Panesso but the latter hit weak and goalie Lorjean Xuereb saved without difficulty. 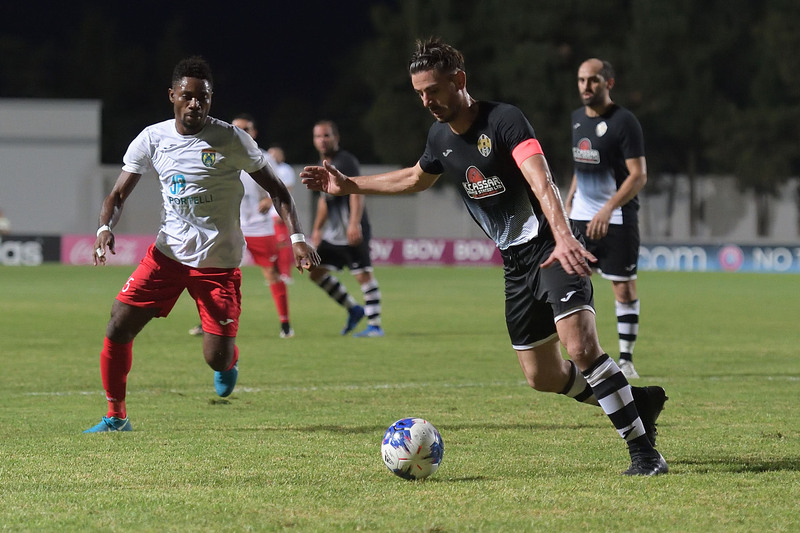 Two minutes later Leiner Garcia Panesso passed inside Ghajnsielem’s area towards Matthias Michael Uzor but the latter failed to connect to the inviting cross and goalie Lorjean Xuereb neutralized the danger. Munxar continued to hold command of play and on 20 minutes an attempt by Samwel Muscat following a free kick by Borja Polo Longarela ended high. Ghajnsielem recovered from the difficult start in the encounter and as time passed by they started to operate dangerous play within Munxar’s territory. On 23 minutes a shot by Naby Damba following a personal action was well saved by goalie John Paul Cassar and on the half hour mark the same goalkeeper left his position in time to block a close ranged effort by Antoine Camilleri. Ghajnsielem opened the score on 36 minutes when skipper Kenneth Mercieca passed to Antoine Camilleri who controlled the ball without any pressure form an opponent and concluded in goal with a low shot. Munxar were shocked and one minute later Ghajnsielem’s Naby Damba entered the area from the right flank but from his low cross Luis Andre De Melo Lima failed to connect. Ghajnsielem could have added another goal on 49 minutes but a shot by Luis Andre De Melo Lima following a personal action missed the target. 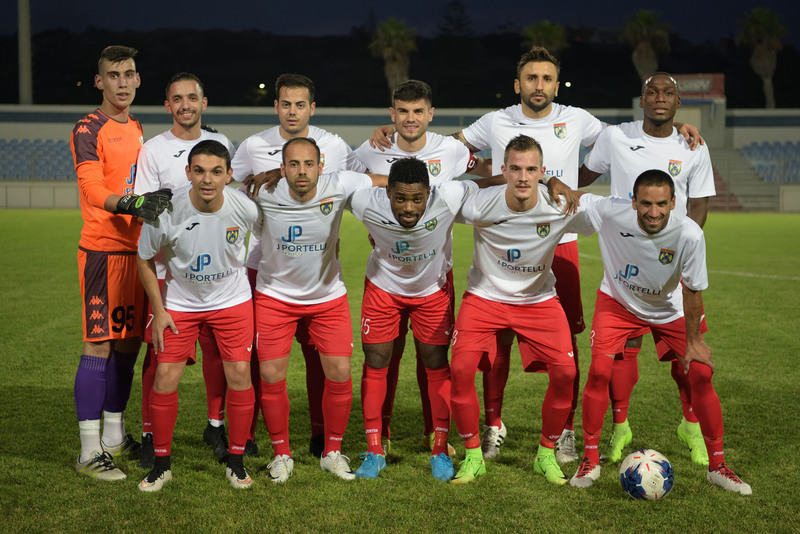 Munxar replied one minute later with an effort by Leiner Garcia Panesso that was neutralized by goalie Lorjean Xuereb and on 51 minutes a strike by Ghajnsielem’s Antoine Camilleri ended high. On 59 minutes Munxar lost a good opportunity to level the score when a short clearance by Ghajnsielem’s defense arrived to an unmarked Samwel Muscat but the latter’s shot ended high. One minute later Ghajnsielem’s Charles Hili had a shot from long distance that was saved by goalie John Paul Cassar and on 63 minutes Munxar went again very close to clinch the equalizer when Borja Polo Longarela entered Ghajnsielem’s area with a personal action but his attempt from an angled position was blocked in front of the goalmouth and from the rebound a close ranged header by Matthias Michael Uzor was saved by goalie Lorjean Xuereb. Munxar’s effort were rewarded on 70 minutes when they leveled the score through a tap-in by Jhon Jairo Sandobal Guarin following a melee in front of goal resulting from a corner kick by Munxar’s Borja Polo Longarela. Ghajnsielem replied one minute later through a strike by Charles Hili that was saved to a corner with the aid of the crossbar by goalie John Paul Cassar and on 72 minutes Munxar operated a fast break through Matthias Michael Uzor who entered Ghajnsielem’s territory but his attempt form long distance was neutralized by goalie Lorjean Xuereb. The match now became more interesting as both teams tried to gain the lead. On 80 minutes Ghajnsielem lost a good scoring opportunity when Naby Damba came face to face with the goalkeeper, who left the goal unattended, but the striker saw his lob that ended high. 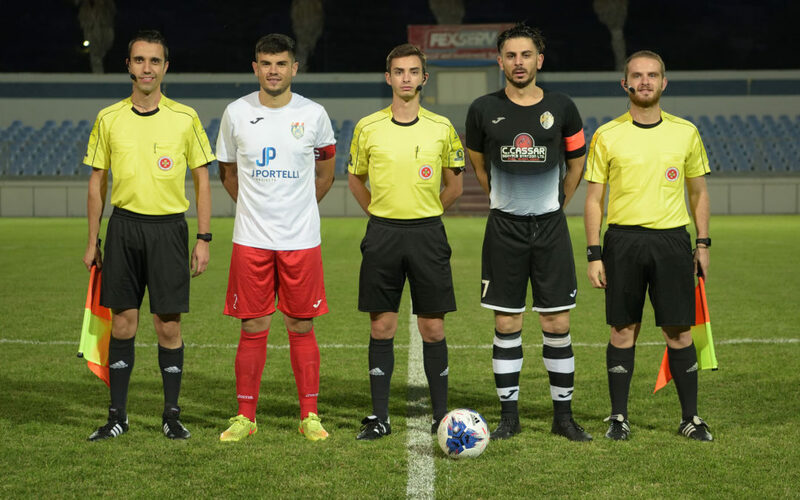 Munxar turned the result in their favour on 84 minutes when Leiner Garcia Panesso moved away from his direct opponent in a counter break and netted with a low drive as goalie Lorjean Xuereb left his position in an attempt to block the danger. Ghajnsielem however managed to recover the deficit three minutes later through a fine header by Luis Andre De Melo Lima following a cross from the right flank by Kurt Grima. Ghajnsielem kept insisting during the remaining minutes and went close to obtain a win in the first minute of stoppage time but a strike by substitute Damon Hili ended just over the crossbar.